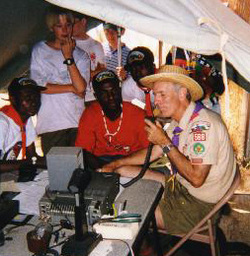 Jeff (KK6JJZ) will offer a presentation on the joys, problems and requirements of traveling with your radio gear. 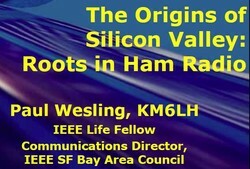 His presentation will cover both international and domestic travel, DX operations, HF-VHF-UHF activity, global licensing agreements, language concerns, airport security issues, radio gear options, antenna considerations and cultural issues. He will also address the fun of on-air contact and face-to-face meetings with fellow radio enthusiasts overseas. ​Jeff Curry lived for several years in Western Europe and Southeast Asia and still travels overseas on business five months per year. He has written numerous books on international business and is a professor of Finance and Economics. Jeff is also a member of the the SFPD's Auxiliary Law Enforcement Response Team (ALERT) where he implements radio communication standards. He has been a member of SFRC since 2014.